Illinois law requires all employers to carry workers' compensation insurance to cover any injuries that occur on the job. While these benefits offer peace of mind for many workers, some have a hard time collecting payment due to where and when their injuries occurred. Coverage for an employee’s injury often depends on the specifics of the accident—and the employer and employee may have different opinions on whether the injury qualifies for compensation. Workers’ compensation laws do not require an employee to be in a specific place, performing regular work duties, or even be “clocked in” in order to qualify for benefits. The vital factor that triggers coverage is whether the employee was performing an action for the benefit of the employer. If the employee’s injury was sustained within the scope of his or her employment, the injury should be covered by workers’ compensation. During a meal break. 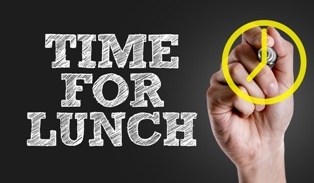 Most injuries on lunch breaks are not covered, but an injury could be compensable depending on where you were and what you were doing at the time of injury. If you were eating on the premises (such as in an employee breakroom) and you were injured by a box falling off of a shelf or by slipping on a wet floor, you were exposed to a workplace hazard and could still be covered for the injury. On an unpaid break. Workers are generally not covered during periods where they are relieved of work duties and are away from the employer’s premises. However, if you are asked to perform work while you are still on the clock—such as counting stock for inventory or “watching the floor”—your injuries may be covered. During a commute. Workers’ compensation usually does not apply to injuries that occur during an employee’s drive to work or journey home. However, there may be an exception for employees who were performing a work-related duty as part of the journey, such as picking up coffee for a morning meeting. On a special mission. If you leave the work premises during your shift to perform a personal errand, any injuries you sustain will likely not be covered. On the other hand, if you left work for a “special mission”—such as a transfer of inventory from one store location to another—any injury you sustain will likely be covered. On public or shared areas. Employees often have difficulty collecting for slip and fall accidents at work, especially those that occur outside of the immediate work environment. Employees may need help claiming for injuries that happen on areas that are jointly-owned or only partially controlled by the employer, such as company parking lots or shared common areas where employees from multiple companies gather. At a function or event. Workers’ compensation should cover any event sponsored by an employer, such as a holiday party or company picnic. In these cases, employers may call the employee’s behavior and actions into question—whether the employee was drinking alcohol or being reckless—which may affect compensation. During an after-hours visit. Injuries to non-scheduled employees that occur after regular business hours may be covered, but only in special circumstances. For example, if a scheduled employee is being picked up after a shift by an employee who worked earlier that day, both employees may be covered for an injury on the premises. While on call. Police officers, firemen, first responders, and doctors are just a few employees who are asked to remain “on call” in case they are needed for work. Since an on-call employee is under the control of the employer, he or she may be eligible for workers’ compensation for injuries sustained in the act of reporting to work or while performing work-related duties at home.